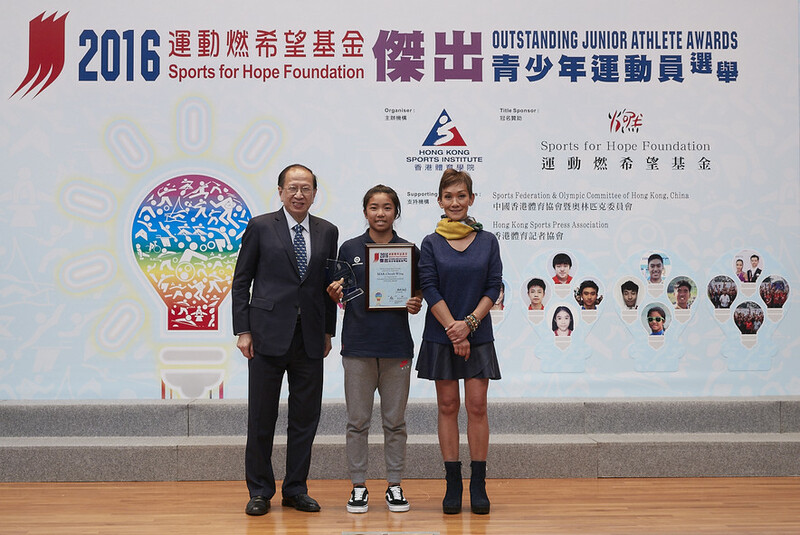 The annual celebration and 4th quarter 2016 presentation ceremony of the Sports for Hope Foundation (SFHF) Outstanding Junior Athlete Awards (OJAA) took place at the Hong Kong Sports Institute (HKSI) today. For this quarter, a total of 43 junior athletes were presented with awards in recognition of their outstanding achievements. To conclude the 2016 sporting performances, three annual awards were also presented at the Ceremony. Windsurfer Mak Cheuk-wing drew the world’s attention at the Techno 293 World Championships 2016 by winning the girls U15 title. She was selected as the Most Outstanding Junior Athlete of 2016 which is presented to an awardee who has achieved the best result. 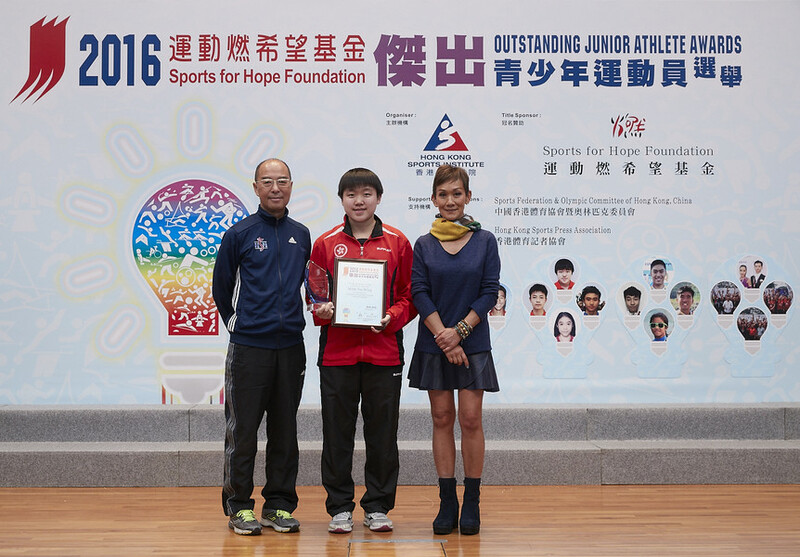 Another promising player, Mak Tze-wing of table tennis, was presented the annual award of the Most Promising Junior Athlete as she was the most prolific award winners in 2016 with at least three quarterly awards. 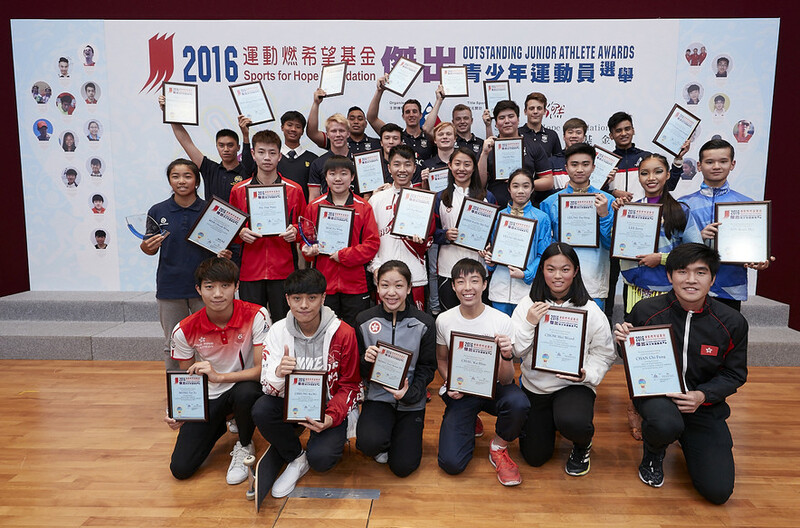 The Hong Kong Table Tennis Association was presented the Most Supportive National Sports Association for their submission of the highest number of successful nominations for 2016. The officiating guests at the ceremony were Miss Marie-Christine Lee, founder of the SFHF; Mr Pui Kwan-kay SBS MH, Vice-President of the Sports Federation & Olympic Committee of Hong Kong, China (SF&OC); Mr Chu Hoi-kun, Chairman of the Hong Kong Sports Press Association (HKSPA); and Dr Trisha Leahy BBS, Chief Executive of the HKSI. The awardees of this quarter are Ko Shing-hei (Badminton), Lo Ho-sum and Robbie James Joaquin Capito (Billiard Sports), Jerry Lee and Sin Kam-ho (Dance Sports), Chan Yin-yau (Equestrian), Hsieh Sin-yan (Fencing), Chau Ka-him and Chow Hei-wood (Karatedo), Lo Ng-shuen (Roller Sports), Chan Chi-fung (Rowing), Hong Kong U19s Men’s Rugby National Team (Rugby), Ng Pak-nam and Mak Tze-wing (Table Tennis), Lam Ching and Sou Ming-chun (Tennis), Mak Cheuk-wing (Windsurfing), Leung Yat-sing and Michelle Yeung (Wushu). 2016 was undoubtedly a fruitful year for junior paddler Mak Tze-wing. 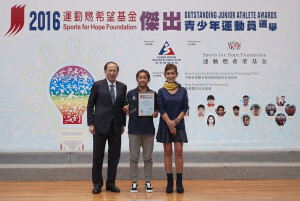 Apart from her three outstanding junior athlete titles gained during the year, she won a historical medal for Hong Kong in the girls’ singles event at the 2016 World Junior Table Tennis Championships. She eliminated Sun Yizhen of China, the world powerhouse in the quarter final and advanced to semi-final. “Sun was a very strong opponent whom I have never won before. So all I wanted was to give my best and enjoy the game, and that was when the miracle happened. I have learnt a good lesson from the senior squad members – no matter what kinds of difficulties or obstacles are waiting ahead, you should not doubt yourself for any reason.” Mak recalled. She finally won 1 silver and 2 bronze medals in junior singles, doubles and team events. Her teammate, Ng Pak-nam also won a bronze medal in the boys singles event and was selected as one of the outstanding junior athletes for this quarter. Windsurfer Mak Cheuk-wing started practising the sport at the age of nine and her most unforgettable moment so far happened in 2013 when she was competing in the Hong Kong Open Windsurfing Championships. That was her debut in large event and she surprised everyone by winning over other senior girls and became the champion. Like most of the local windsurfers, she sees Olympic gold medallist Lee Lai-shan as her role model and would work hard to achieve as high as Lee did. Dance partners Jerry Lee and Sin Kam-ho were awarded the title for the first time. They have achieved very good results in the ADSF Junior II Championships and the 26th National DanceSport Championships this quarter. Both of them sincerely thanked SFHF for the encouragement given and would use the money on the course fee and costumes. 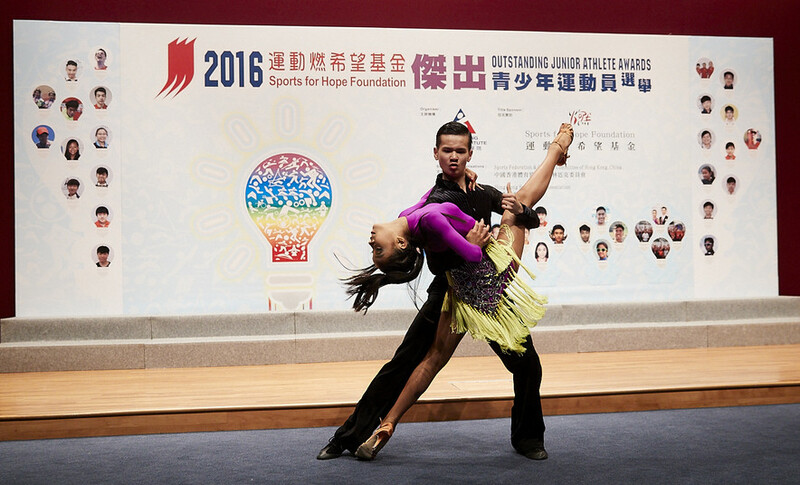 They hope the Award could arouse people’s awareness of dance sport in Hong Kong, and bring it to the next level. Sou Ming-chun had a rather dramatic start in playing tennis. When he was six years old, he passed through the HKSI one day and picked up a tennis ball by chance. He returned the ball to the coach and was asked to try swinging the racket, and by that moment, he fell in love with the sport. Partnering with Lam Ching, Sou won a silver medal in the GB1 Doubles event at the Seogwipo Asia/ Oceania Closed Junior Championships 2016, which brought him the first Outstanding Junior Athlete Title this quarter. In addition, Leung Chun-long (cycling), Cheung Ka-ho (roller sports), Wong Kwan-to and Yang Hin-ho (swimming), and Wong Tsz-to (triathlon) were awarded the Certificate of Merit for this quarter. Organised by the HKSI and sponsored by the Sports for Hope Foundation since 2012, with support from the SF&OC and the HKSPA, the OJAA recognises the achievements of outstanding local junior athletes under the age of 19 on a quarterly basis. Each individual recipient is presented with a cash prize of HK$2,500, a sports voucher worth HK$2,500 and a certificate. Group recipients will receive a cash prize of HK$10,000 maximum, a sports voucher worth HK$10,000 at most and a certificate. 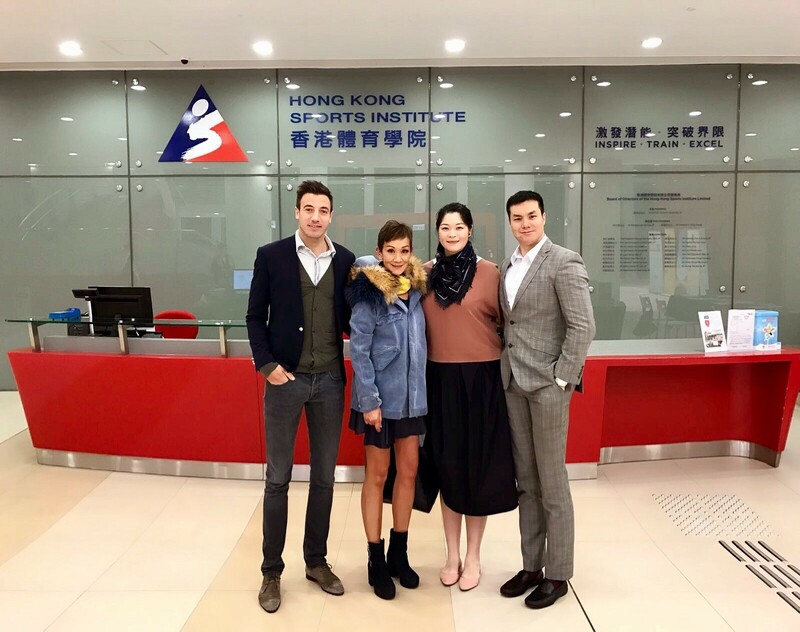 The HKSI is the Government’s elite sport training systems delivery agent and is committed to providing an environment in which sports talent can be identified, nurtured, and developed to pursue excellence in the international sporting arena and to inspire potential athletes to pursue a full-time sports career.